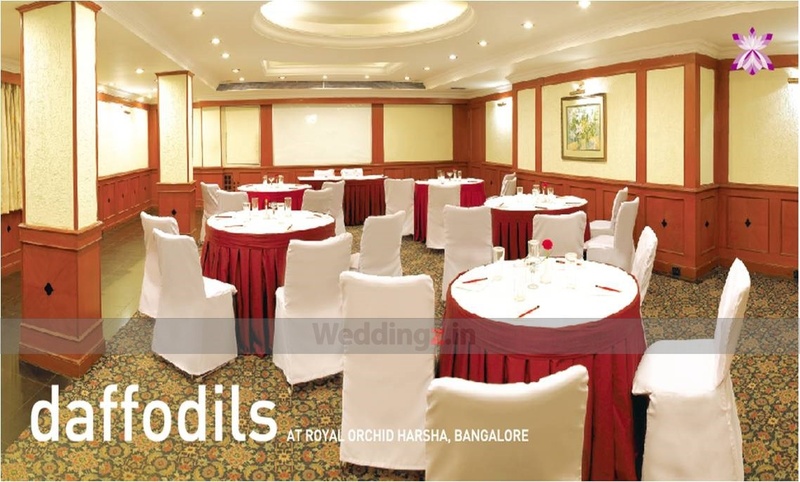 Located in Shivaji Nagar, Hotel Ramada, Bangalore, is a great venue to host a wedding of your dreams. The venue offers multiple wedding banquet halls that can be an incredible way to organize every little function and ritual. If you are searching for a wedding caterer and still not able to find one, don't worry, as this venue has an in-house team of caterers who will customize the menu for the special day. It also provides free valet services to everyone attending the wedding. The Hotel Ramada located in Shivaji nagar, Bangalore has Wedding Hotels, Cocktail Venues and Banquet Halls. 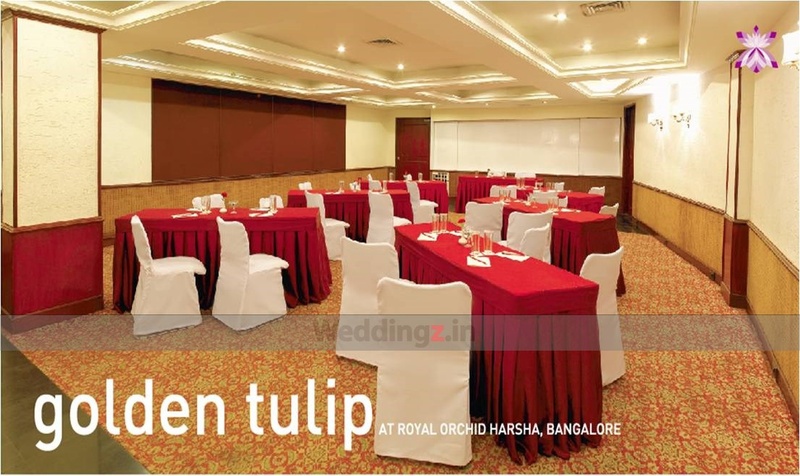 Golden Tulip can accommodate upto 80 guests in seating and 150 guests in floating. 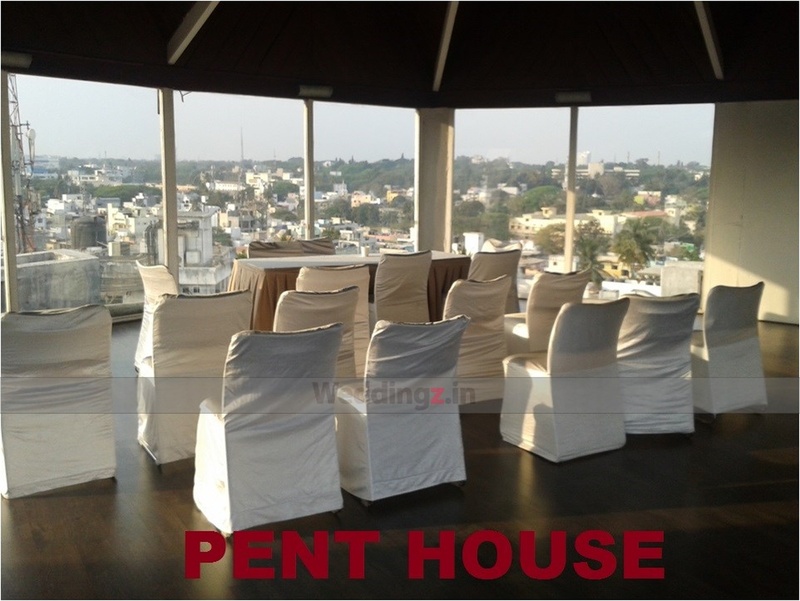 Orchid can accommodate upto 180 guests in seating and 300 guests in floating. Daffodils can accommodate upto 70 guests in seating and 150 guests in floating. Vegetarian food is served at this venue. Features of this wedding venues are : Food provided by the venue , Non-Veg allowed at the venue , Alcohol allowed at the venue , Outside alcohol allowed at the venue , Music allowed late , Halls are air Conditioned , Baarat allowed , Fire crackers allowed , Hawan allowed , Packages starts at Rs 650 per plate for vegetarian menu and at Rs 700 for non veg menu.